Ninety Six years ago on February 26, 1919, Grand Canyon was designated a National Park under President Woodrow Wilson's Administration. The creation of the Grand Canyon National Park was seen as an early success of the conservation movement. Home to more than 1,500 plant species and more than 500 animal species, it has become a top tourist destination that attracted 4.5 million visitors every year. Postcard US-1700612 to the Netherlands shows Toroweap Overlook, a viewpoint in a remote area on the North Rim of the Grand Canyon National Park in Arizona. 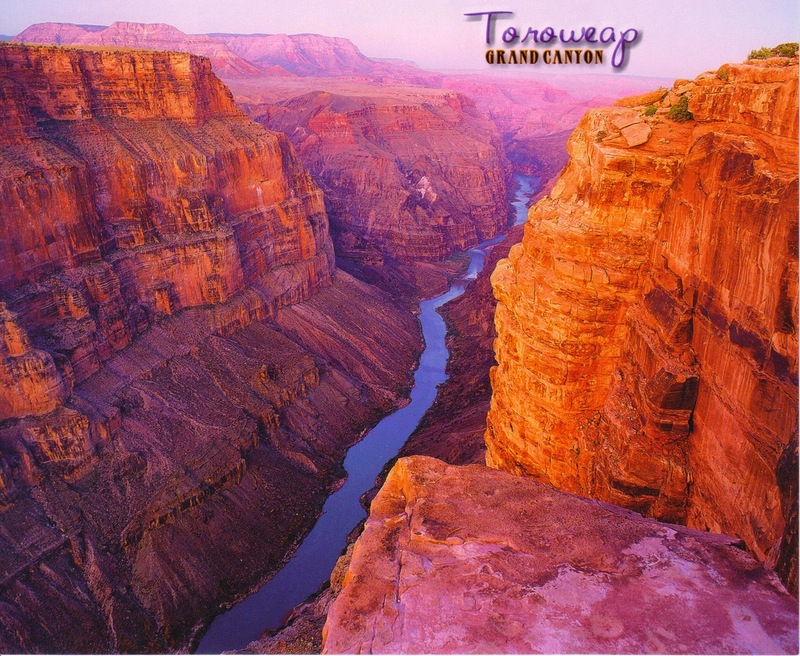 It is the only place in the National Park where you can see the Colorado River from vertically above, 3,000 feet or 915 meters over the river. USPS issued a 60-cent Grand Canyon stamp in 2000 but it came out wrong, twice. The most recent stamp featuring Grand Canyon by USPS was one of four in the set of Hudson River School Forever Stamps, based on the 19th century artist Thomas Moran's 1912 painting.